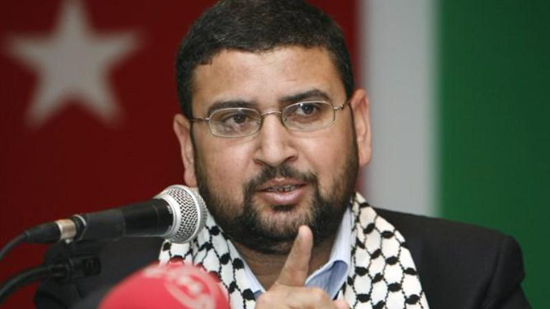 The Islamic Resistance Movement, Hamas, on Sunday warned against a pre-planned plot to normalize relations with the Zionist regime. 'Images showing Arab and Islamic countries normalizing relations with the Zionist regime is far more painful than the bullets the regime fires,' Arabic 21 news website quoted Hamas spokesman, Sami Abu Zuhri, as saying. He went on to say there is a predetermined plot to normalize ties with the Zionist regime, which is evident in the visits paid by the Zionist regime's prime minister and some of its ministers to several regional countries, as well as in some fatwas to justify normalizing ties with the usurper regime. Abu Zuhri argued the plot is part of Trump's 'Deal of the Century' with the aim of integrating the Zionist regime in the region. He pointed to the remarks of Yusuf bin Alawi, Oman's Minister Responsible for Foreign Affairs, who had considered the Zionist regime a normal party in the region and said the Omani minister has forgotten the party is the one which has occupied an Arab Islamic country, especially Qods. The senior Hamas official emphasized Palestinians have no problems with the Jews. Their problem is with the Zionist regime which has occupied their land. He called for a halt in normalizing relations with the Zionist regime and urged the Islamic scholars and people to counter such predetermined conspiracies. Prime minister of the Zionist regime Benjamin Netanyahu traveled to Muscat, capital of Oman, last week, and the regime's sports teams entered the United Arab Emirates (UAE) and Qatar to participate in sports tournaments, moves which drew fire from the Arab and Islamic countries.